St. Patrick is the Patron Saint of Ireland, but St. Patrick’s Day is not just an event held by the Irish in Ireland. On St. Patrick’s Day the Irish all over the world wear shamrocks or green clothes and accessories (commonly referred to as “wearing the green”.) 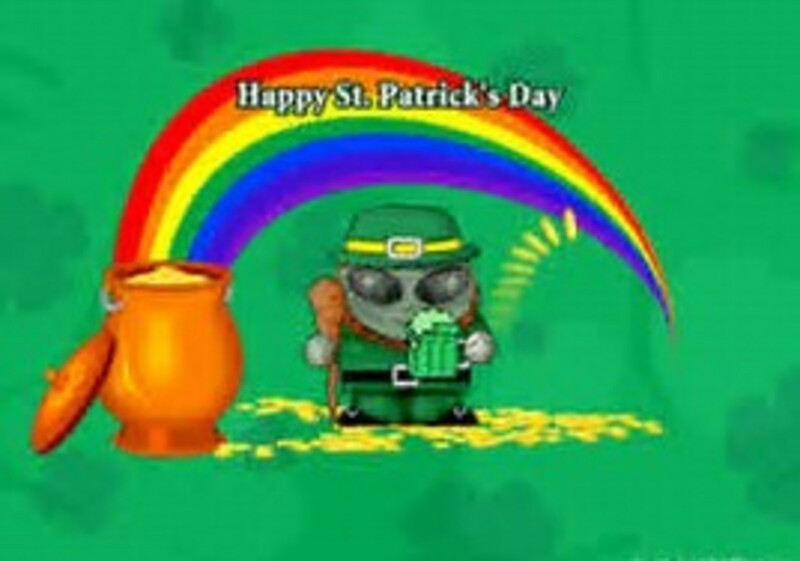 In addition to Ireland, St. Patrick’s Day is celebrated in Canada, Argentina, Japan, Malaysia, Montserrat, Russia, South Korea, Switzerland, Great Britain, and the United States. The date March 17 is called Saint Patrick’s Day because legend says that he died on March 17. Saint Patrick's feast day, has been a national day, celebrated by the Irish in Europe since 800 AD. In later years, Saint Patrick became recognized as the patron of Ireland. 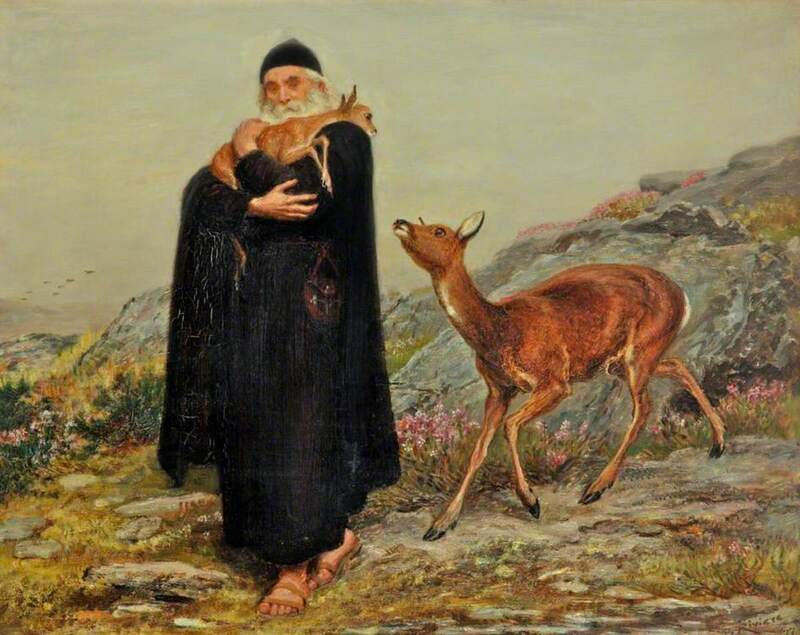 Saint Patrick's feast day was finally placed on the universal liturgical calendar in the Catholic Church through the efforts of Waterford-born Franciscan scholar Luke Wadding. In the early 1600s, Saint Patrick's Day became a holy day of obligation for Roman Catholics as well as a feast day in the Church of Ireland. If March 17 falls during the Holy week, Saint Patrick’s Day is moved so that it does not interfere with the solemn activities of that event. When this occurred in 1940, Saint Patrick's Day was observed on 3 April so that it would not interfere with Palm Sunday. In 2008, Saint Patrick’s Day was observed on March 14. St Patrick's Day will not fall within Holy Week again until 2160. The secular celebration, however, always falls on 17 March. Waterford, Ireland held the first St. Patrick’s Day parade in 1903. That same year, the week of March 15-22 was declared Irish Language Week by the Gaelic League and in Waterford they decided to have the parade on Sunday, March 15. The Waterford trades unions from the Trades Hall took part in the “St. Patrick’s Day Procession”. The procession included the Mayor, members of the Waterford Corporation, the Trades Hall, and various trade unions and bands including the Barrack St. Band and the Thomas Francis Meagher Band. The parade started from the buildings of the Gaelic League in George's St. and ended at the Peoples Park. There, the Mayor and other dignitaries addressed the residents. The following Tuesday, March 17 Waterford businesses closed and marching bands paraded like they did two days previously earlier. Dublin, Ireland held their first St. Patrick’s Day Parade in 1931 where they were reviewed by the Minister of Defense- Desmond Fitzgerald. In the mid-1990s the government of the Republic of Ireland began a campaign to use St Patrick's Day to showcase Ireland and its culture. The aims included offering a national festival that ranks among the greatest celebrations in the world. Engage creative energy and excitement throughout the country through innovation, creativity, grassroots involvement and marketing activity, provide opportunity and motivation to Irish people all around the world (and those who wish they were Irish) to attend and join the imaginative and expressive celebrations, to provide an accurate image of Ireland to the world as a creative, professional, and sophisticated country. Traditions say Saint Patrick used the three-leaved shamrock to demonstrate the Holy Trinity to the Irish pagans. This story was first written about in 1726, but appears to have been a tradition long before the story was put into writing. 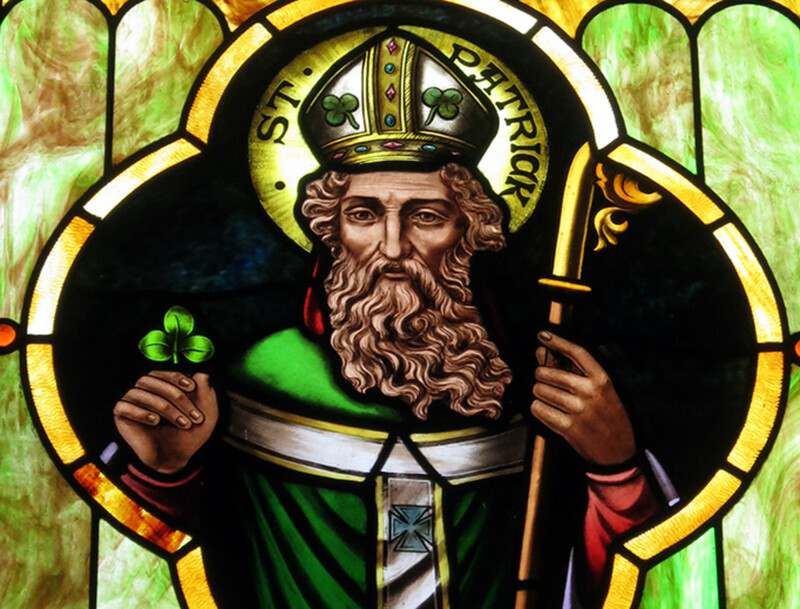 Even before Patrick’s evangelistic efforts, the Irish had many triple deities, though there is no evidence that the shamrock was sacred in pagan Ireland. However, the regenerative powers related in pagan worship may have been recast into Christian context. Saint Patrick is often seen as the saint with “the cross in one hand and a sprig of shamrocks in the other. St Patrick probably drew upon the visual concept of the triskele when he uses the shamrock to explain the Trinity. The triskele was the Celtic symbol of three joined spirals. The triple spiral motif is a Neolithic Western European symbol. Though used throughout Celtic culture, the triskele, however, predates the Celtics in Ireland. The symbol is carved into a stone lozenge near the primary entrance of the Newgrange monument in County Meath, Ireland. This carving dates back to around 3200 BC long before the Celt culture in Ireland. Green has been associated since before the 1640s when the Irish Catholic Confederation started using the green harp flag. Celebrators have been wearing green ribbons and shamrocks on St. Patrick ’s Day since the 1680s. In 1750 the Irish fraternity, Friendly Brothers of Saint Patrick, adopted green as its color. Not all associated with St. Patrick however has been green. In 1783, the Order of St. Patrick, and Anglo-Irish chivalric order adopted the color blue which led to blue’s association with St. Patrick. In the 1790s, greed became associated with Irish nationalism because the United Irishmen, a republican organization led by both Protestants and Catholics, used the color as a symbol of unity against tyranny. The phrase "wearing of the green" was popularized by a song of the same name. The song lamented how United Irishmen supporters were persecuted for wearing green. 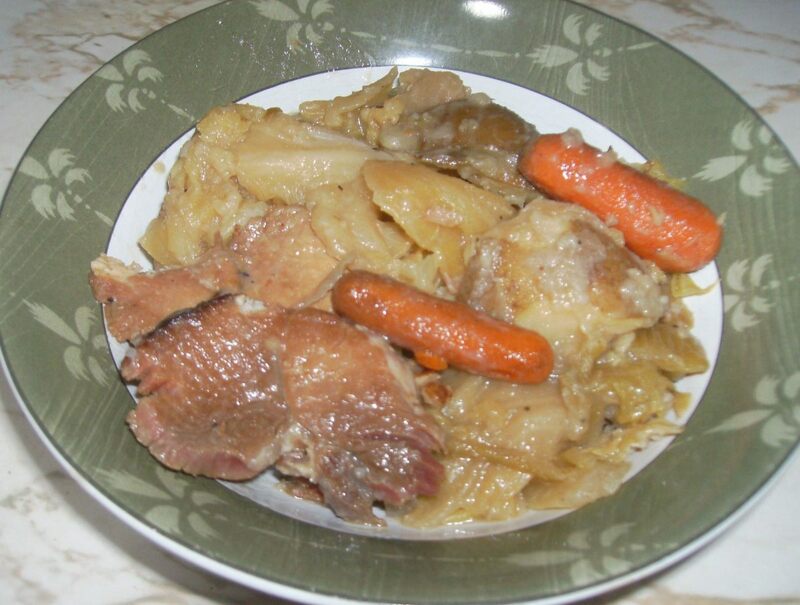 Throughout the 1800s and 1900, green’s association with St Patrick's Day solidified. During the early 1900s, wearing the St Patrick’s Day Cross was a popular tradition in Ireland. This Celtic Christian cross was made of paper and covered with different colored silk or ribbon with a rosette of green silk in the center. In Great Britain, Queen Elizabeth used to present bowls of shamrock flown over from Ireland to members of the Irish Guards, a regiment in the British Army consisting primarily of soldiers from both Northern Ireland and the Republic of Ireland. Though this ceremony is no longer done, the Irish Guards still wear shamrocks flown in from Ireland on March 17. On or around March 17, both the Church of England and Roman Catholic Churches in Great Britain congregations observe this feast day. A huge crowd of Irish attend horse racing at the Cheltenham Festival usually around St. Patrick’s Day. The largest St Patrick’s Day parade in Britain and the third largest in the world is held at Birmingham. This parade’s route covers 3km throughout the city’s center. London has had an annual St Patrick’s Day Parade since 2002 and takes place on the weekends surrounding March 17 and usually in Trafalgar Square. The fountains of Trafalgar Square were dyed green in 2008. Liverpool has the highest proportion of Irish ancestry of any city in England. This city’s St. Patrick’s Day celebrations include music, cultural events, and, of course, a parade. The longest St. Patrick’s Day celebration in England occurs in Manchester. There, the Irish festival is a two-week even before March 17. This festival includes an Irish Market in the city’s town hall where it flies the Irish tri-color opposite the Union Flag. A large parade and numerous cultural and learning events occur during these two weeks. Montreal, one of the longest running and largest, has had their Saint Patrick’s Day parade since 1929. Unofficially however, Saint Patrick’s Day itself has been celebrated since Irish solders of the Montreal garrison followed the British in its conquest of New France in 1759. If you notice the Montreal city flag, you see that it has a shamrock in its lower-right quadrant. Manitoba’s Celtic Fest was started by the Celticfest Vancouver Society to celebrate Celtic culture and includes a St Patrick’s Day parade. Quebec held a parade from 1837 to 1926 then revived it in 2010. In March 2009, the Calgary Tower changed the exterior lights to new green CFL bulbs for St Patrick's Day and in part for the environmental non-profit organization's campaign (Project Porchlight), which also represented their environmental concerns. The lights resembled a Leprechaun's hat. A week later, white CFLs took their place. Toronto’s first known St. Patrick’s Day a parade started on or before 1863. The Toronto Maple Leafs Hockey Team had been known as the Toronto St Patrick’s from 1919 to 1927 and wore green jerseys. When the maple leafs played on Saint Patrick’s Day in 1999, they wore Saint Patrick’s retro uniforms. Every year a parade is held on the Sunday prior to March 17 and attracts over one hundred thousand participants. 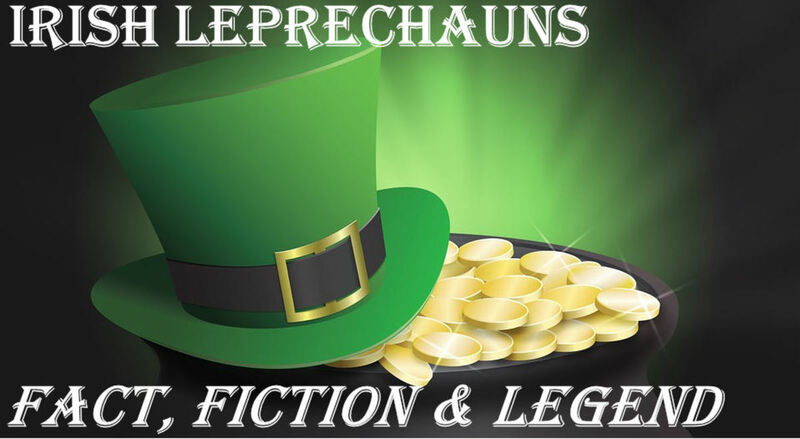 St Patrick's Day is not a legal holiday in the United States, but widely observed throughout the country as a tribute to the Irish and Irish American culture. In American cities with a large Irish population, St. Patrick’s Day is a very big deal. 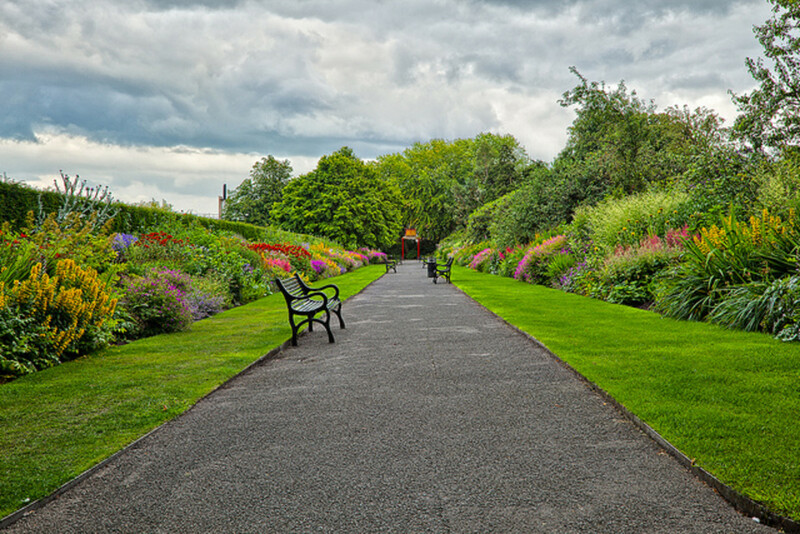 Big cities and small towns alike celebrate with parades, “wearing of the green,” music and songs, Irish food and drink, and activities for kids such as crafts, coloring and games. Some communities even go so far as to dye rivers or streams green! Celebrations include prominent displays of the green, eating and drinking, religious observances, and parades. Although there are countless cities around the US with parades and beer dyed green, Chicago is unique in one respect. At nine o’clock central time, the city of Chicago turns the Chicago River Green for their annual event. For over 40 years, the Chicago Journeymen Plumbers turn the Chicago River green for the St. Patrick's Day Parade celebration. One would ask how this is different from the rest of the year when the river is always a murky shade of green. The difference is both significant and breathtaking because the color green is identical to the greens of Ireland from where it got its name The Emerald Isle. As the story goes, in 1961 a plumber approached Stephen Bailey. The plumber was wearing a pair of white coveralls that had been brightly dyed the perfect Irish green. Stephen Bailey asked how the coveralls got this way. The plumber told him that this dye was the one used to detect leaks because it turned the river this perfect green color. The dye starts out orange but then magically turns this bright Irish green color. Other cities have tried it, but have not been successful with the results that Chicago has. As the late Stephen Bailey has said, the road from Chicago to Ireland is marked in green. From the Chicago River to the Illinois River, then to the Mississippi, up the Gulf Stream and across the Atlantic you can see the beautiful green enter the Irish Sea, clearly marking the way from Chicago to Ireland. After the dying of the river, Chicago holds its annual parade at noon. The movie the Fugitive shows contains actual footage from the 1993 Chicago Saint Patrick’s Day Parade. You may not think of there being an Irish population in Argentina, but every year in Buenos Aires, a party is held in the downtown street of Reconquista, where there are several Irish pubs. In 2006, fifty thousand people congregated on this street and the pubs nearby. Neither the Catholic Church nor the Irish community, the fifth largest in the world outside Ireland, take part in the organization of these parties. The Irish Network Japan organized the first Saint Patrick’s Day parade in Tokyo, Japan in 1992. Now, parades and other Saint Patrick’s Day events occur throughout March in various parts of Japan. The St. Patrick's Society of Selangor, Malaysia, has been in existence since 1925. They organize the annual St. Patrick's Ball, the largest St Patrick's Day celebration in Asia. Guinness Anchor Berhad also organizes 36 parties across the country in places like the Klang Valley, Penang, Johor Bahru, Malacca, Ipoh, Kuantan, Kota Kinabalu, Miri and Kuching. Irish refugees from Saint Kitts and Nevis immigrated to the tiny island of Montserrat which now is referred to as the “Emerald Island of the Caribbean. Like Ireland and the Canadian provinces of Newfoundland and Labrador, Saint Patrick’s Day is an official holiday. This holiday commemorates not just St. Patrick, but also the failed slave uprising of March 17, 1768. Moscow, as well as other cities in Russia held its first St Patrick’s Day Parade in 1992. There is an official part of the Parade where the military and Moscow government and the Irish embassy in Moscow participate. There is an unofficial parade of volunteers , who perform by juggling, walk on stilts, jolly jumpers, and perform Celtic music. During Moscow Irish Week celebrated from March 12-23, 2014, there were over 70 events commemorating the Irish culture in Moscow, , St. Petersburg, Yekaterinburg, Voronezh, and Volgograd. These events were sponsored by the Irish Embassy, the Moscow City Government, and other organizations. The Irish Association of Korea first celebrated Saint Patrick's Day in 1976 in capital city of Seoul. The place of parade and festival has not always been in Seoul however, it has been moved from Itaewon and Daehangno to Cheonggyecheon. Though Saint Patrick's Day in Switzerland are usually celebrated on 17 March with festivities similar to those in neighbouring central European countries, Swiss students often organize celebrations in their own rooms on Saint Patrick's Eve. Guests often contribute green beverages and Irish clothing. Celebrating the Patron Saint of Ireland is not limited to planet earth. Astronauts on board the International Space Station have celebrated the festival in different ways. Irish-American Catherine Coleman played a hundred-year-old flute belonging to Matt Molloy and a tin whistle belonging to Paddy Moloney, both members of the Irish music group The Chieftains, while floating weightless in the space station on Saint Patrick's Day in 2011. Her performance was later included in a track called "The Chieftains in Orbit" on the group's album, Voice of Ages. 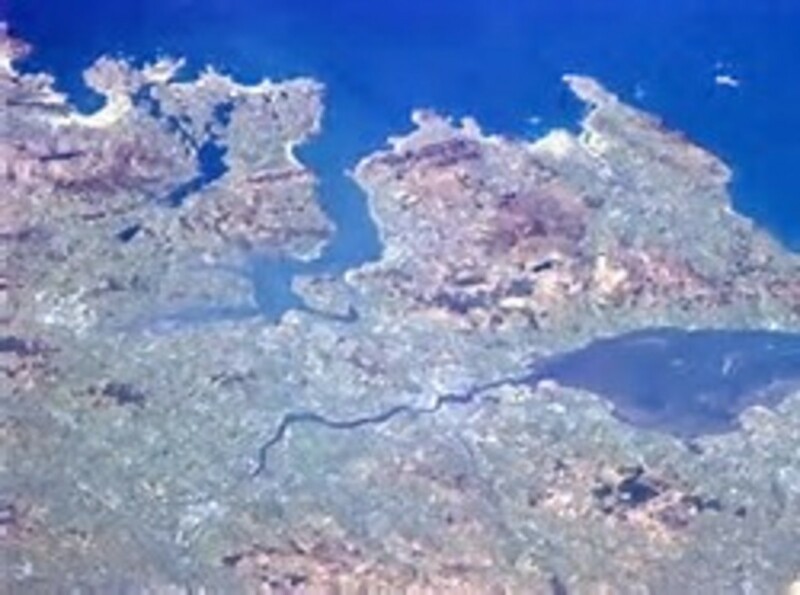 On Saint Patrick’s Day, 2013, Chris Hadfield photographed Ireland from earth orbit, and took a photograph of himself wearing green clothing in the space station, and posted them online. Also, he posted a recording of himself singing "Danny Boy" in space. 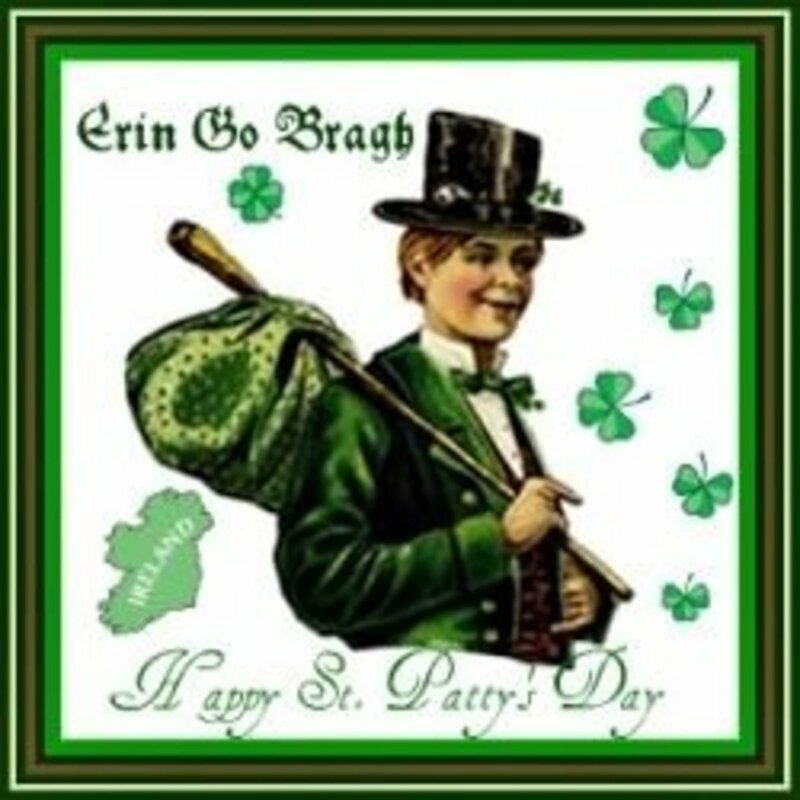 I hoped you have enjoyed our Saint Patrick’s Day Trip around the World and Beyond. I am glad you enjoyed it Deb! This was such a delightful and uplifting store. I am still wearing the smile from it. Thanks for making my day! Hi billybuc! I read where one town had changed the festivities from march 17 to February 1 and focused more on Irish traditions other than drinking. There is certainly far more to the culture than drunken Irishmen to be sure! Even back in the days of my heavy drinking, St. Patrick's Day was not a cause of celebration for me....I guess I'm just not much of a party animal. :) Interesting stuff here, Donna!